Note: This post was sponsored by SharkNinja. I received product for free in exchange for my review. As always, all opinions and content are my own. I made this creamy orange smoothie for my lunch yesterday. It’s sweet, filling, and oh so creamy. 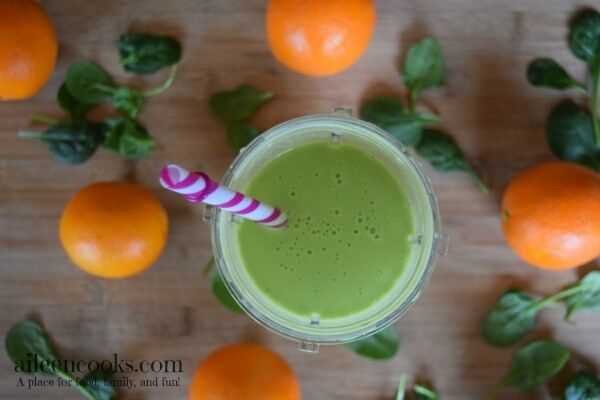 It reminds me of the Orange Julius drinks my mom used to get us from the mall, but healthier (thank you baby spinach). I usually have smoothies for breakfast, but my husband made me one of his freezer burritos for breakfast, so I opted for a smoothie lunch so I can stay on the healthy train. This smoothie is made with all fresh ingredients, so it may be considered more of a juice than a smoothie, but I used the whole fruit and vegetables, so I decided to stick with the name creamy orange smoothie. Whatever you choose to call it, it’s a yummy way to use up fresh ingredients you already have on hand and is sweet enough to please the kids, too. I made the creamy orange smoothie with my new Nutri Ninja® Nutri Bowl™ Duo™. 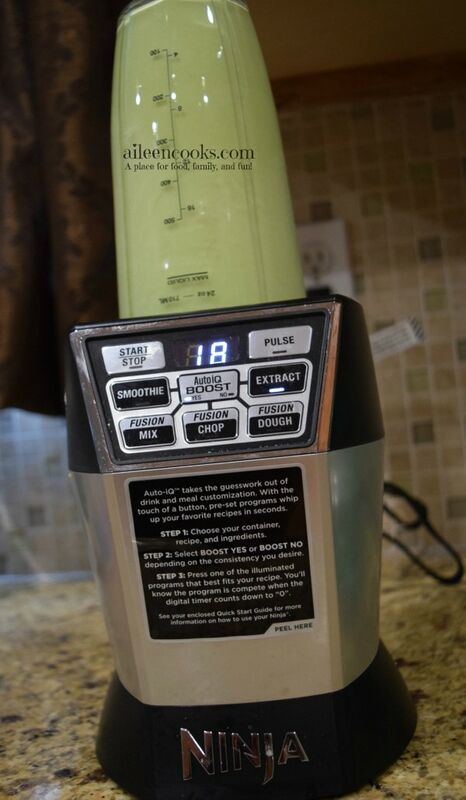 I was able to throw everything in the included smoothie cup, hit “extract” and it was ready in under 2 minutes. 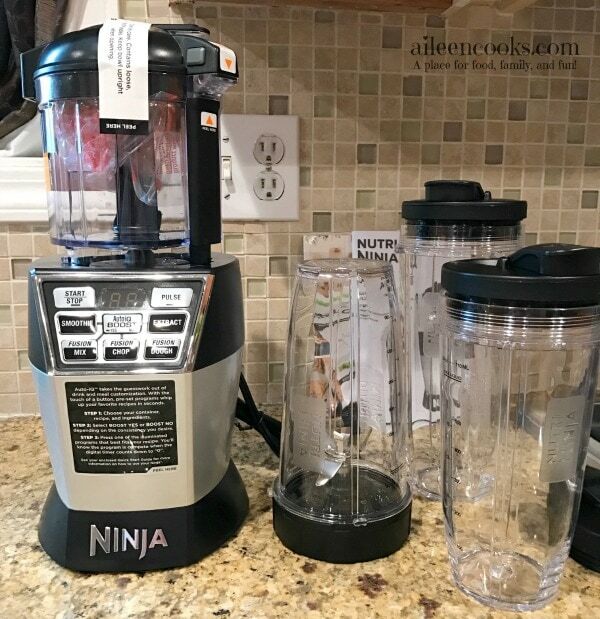 It comes with 3 blender cups and lids, so I can make smoothies for my whole family with out dirtying extra dishes. There are suction cups on the bottom of the blender base, so it wont move around while blending. The separate bowl is a food processor and dough maker in one – so cool! Powerful engine – so much better than my old blender. I no longer have bits of spinach floating around in my smoothie. 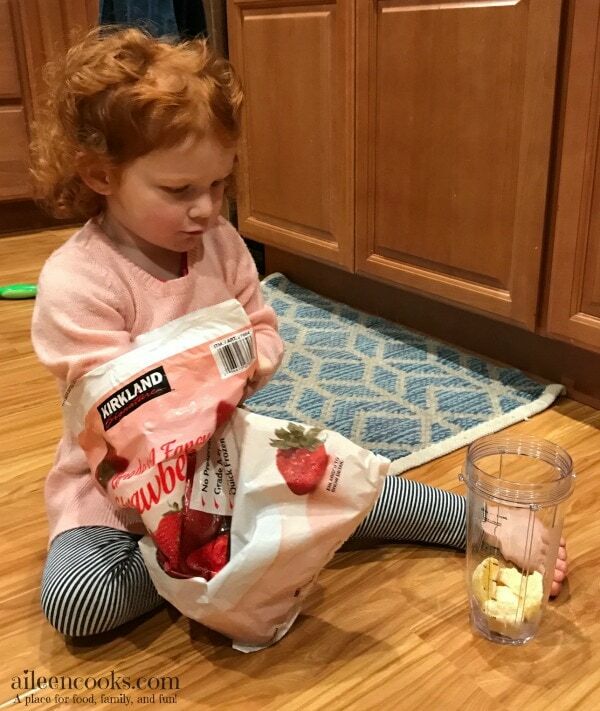 The smoothie cups make it easy for my little ones to help me make smoothies – making them even more eager to drink them! Super coarse ingredients (think berries with lots of seeds) may have to be blended twice to completely pulverize the little bits. Overall, we love our new blender. It’s motivated me even more to drink a smoothie most days and my kids rarely let me get away with not making them a smoothie, too. 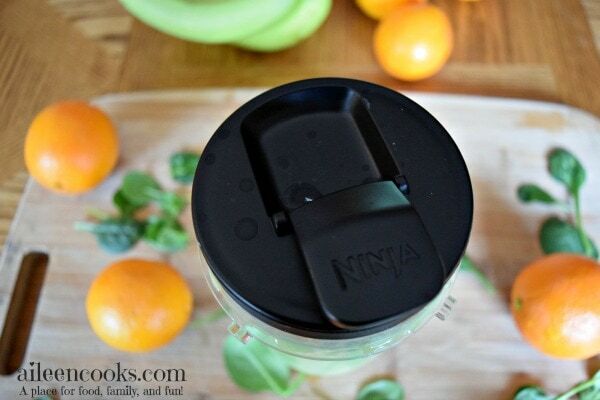 The Nutri Ninja Nutri Bowl DUO has a powerful engine and is very user friendly. Now, for the creamy orange smoothie recipe. Enjoy! 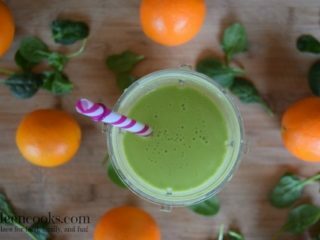 Make this delicious creamy orange smoothie and enjoy a healthy breakfast. Combine all items in blender and blend until smooth. 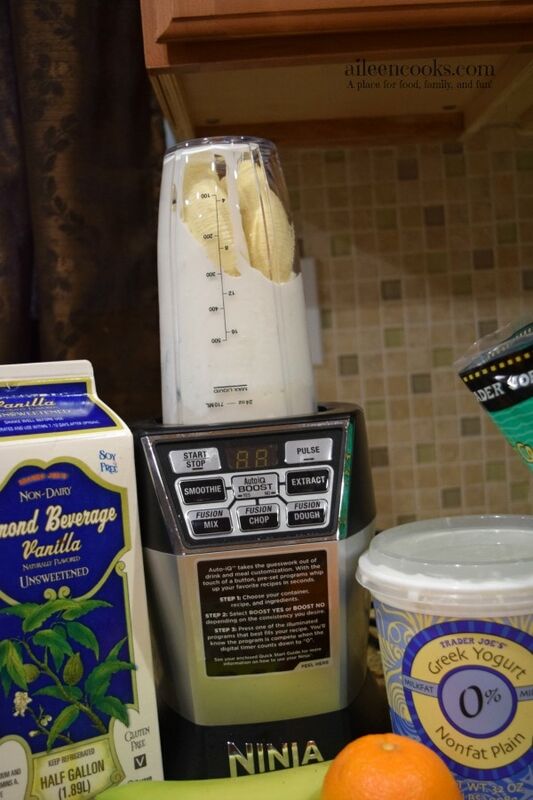 If using a low powered blender, blend spinach and almond milk first, then add additional ingredients.